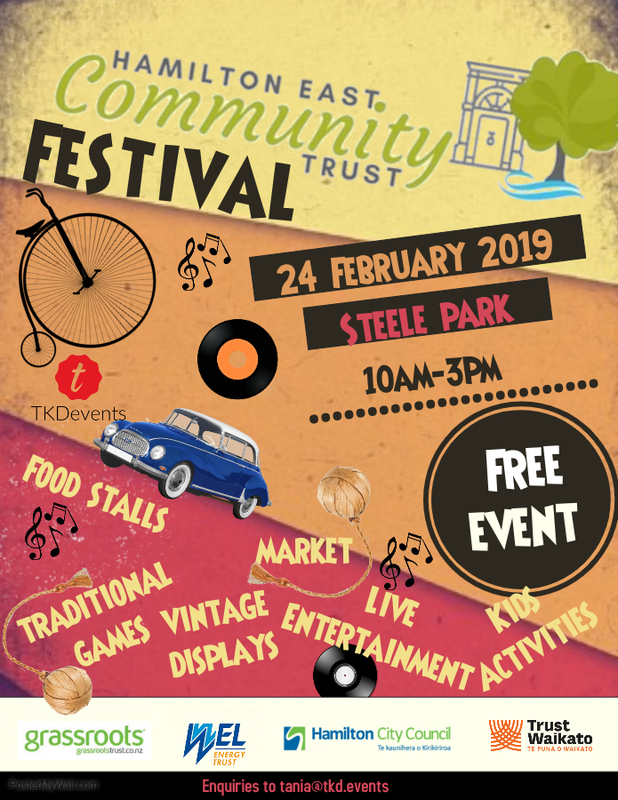 The Hamilton East Community Trust Started running the Hamilton East Heritage Festival after the Hamilton East Business Association handed over the Jazz Food and Wine Festival over to the Trust in 2008. Refocussing the festival into a fun family orientated day out which showcased the areas rich history, proved to be an outstanding success. With a mix of entertainment, vintage cars, pony rides and market stalls, there was something for everyone, even penny farthing races. Steele Park is the perfect location for the event, through location and historical significance. The Trust will continue to arrange this festival on a bi-annual basis and look forward to another great event in February 2019. This years Heritage Festival will be on Steele Park, Sunday 24th February 10.00am - 3.00pm.